Among the most iconic images of the Civil Rights movement is that of police officers unleashing fire hoses and dogs on black children in the streets of Birmingham, Alabama. 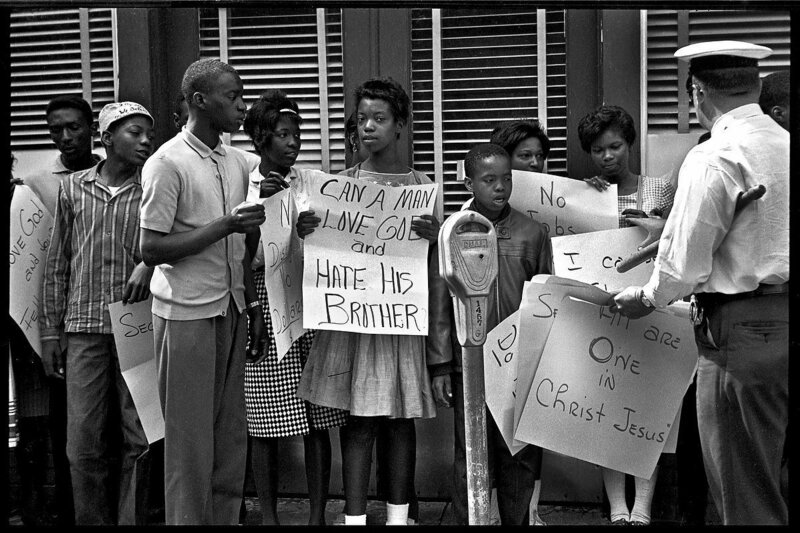 That spring, in 1963, families throughout the country huddled around their televisions, watching in horror as the racism in the segregated South was exposed in its most visceral and violent form. Many historians cite the confrontation in Birmingham as the pivotal moment that paved the way for the Civil Rights Act, signed by President Lyndon B. Johnson just over a year later. The confrontation changed the political atmosphere in the country and crystallized an overwhelming public demand for action toward racial equality. Did this dramatic conflict occur by chance — emerging simply from the zeitgeist of the time? Was the subsequent passage of the Civil Rights Act merely the work of politicians in Washington? Hardly. The protests in Birmingham were part of a carefully crafted mobilization, and their impact was far-reaching. Moreover, they are emblematic of how protest movements can break out quickly — often to the surprise of outside observers — alter public consciousness, and affect both our society’s social norms and its laws. When civil rights organizers — then led by Martin Luther King Jr., James Bevel, Fred Shuttlesworth, and others — planned to confront Eugene ‘Bull’ Connor, the infamous police chief of Birmingham, they did not set out to change Connor’s mind. Rather, they set out to generate popular pressure that would split the segregationist establishment. The organizers intentionally chose the heart of the segregated South to dramatize the violence that black people had been suffering for generations. Their campaign, and their effective drive to use the national media to demonstrate how the violence of Jim Crow laws was an affront to American values, brought public consciousness to a boiling point. Birmingham was one moment in a period of intense movement activity that spanned almost a decade. Although the Supreme Court’s Brown v. Board of Education decision to desegregate schools came down in 1954, the ruling by itself did not ensure justice. In fact, the court’s decision actually engendered more racist backlash in the South, where embattled racists dug in and increased repression of those who stood up to Jim Crow laws. It was only with intensified social movement activity — which produced key breakout moments such as the Montgomery Bus Boycott of 1956, the lunch-counter sit-ins of 1960, the Freedom Rides of 1961, the Birmingham campaign of 1963, and the Selma campaign of 1964 — that politicians were decisively moved to take the necessary steps to dismantle the legal and political foundations of segregation. Public opinion polling shows us just how impactful movement activity was on shifting the public’s view on racial injustice. The chart below represents over 50 years of polling by Gallup on the importance of racism to the American public. (When respondents mark an issue as the most important issue, this is a strong indication that they would be willing to act on their opinion, through votes, donations, or otherwise.) The spikes, occurring frequently in the years 1954 through 1970, directly map onto peak moments of mass protest movement activity during the Civil Rights era, showing just how much active support can influence popular sentiment. Although many of the breakthrough campaigns of the Civil Rights movement were local in character, their impact was national. In 1967, King wrote an account that summed up the impact of some of these dramatic movement moments: “Sound effort in a single city such as Birmingham or Selma produced situations that symbolized the evil everywhere and inflamed public opinion against it […]” he argued. “Where the spotlight illuminated the evil, a legislative remedy was soon obtained that applied everywhere. Shortly before Birmingham, many political experts considered passing substantive civil rights legislation an impossibility, given conditions in the Senate, which was largely controlled by pro-segregation southern delegations. President John F. Kennedy was pragmatically averse to risking support from southern senators and was reluctant to put forward full support for the cause. Yet suddenly, one month after the campaign in Birmingham made international news, Kennedy delivered a fiery address in support of civil rights. This historic about-face ushered in concrete legislation. As historian Todd Purdum writes, Kennedy “moved forward because events forced his hand.” The years of mass mobilizations that peaked in Birmingham had dramatically changed the terms of Kennedy’s political calculus. Public outrage, amongst both whites and blacks, had shifted so that he risked more by not supporting civil rights than by taking a strong stance.